Form R-5697 or the "Schedule 1 - Sparkling Wines Shipped Direct To Louisiana Consumers" is a form issued by the Louisiana Department of Revenue. 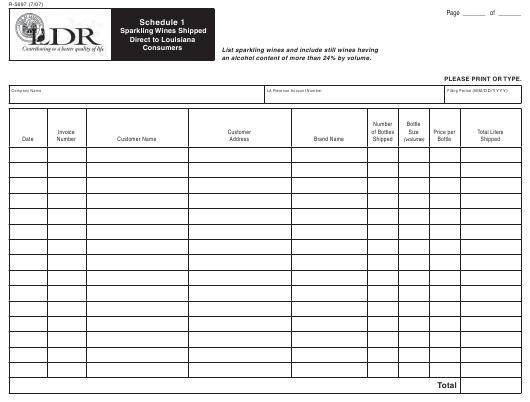 Download a fillable PDF version of the Form R-5697 down below or find it on the Louisiana Department of Revenue Forms website. an alcohol content of more than 24% by volume.